Now that we have been working with FileMaker 16 for a while, I would like to reflect on some new features that I believe will have a huge impact on future development practices. 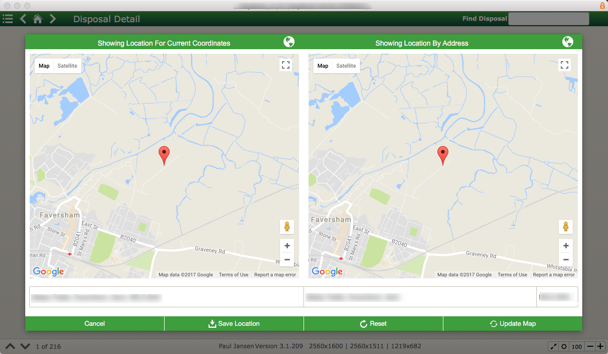 The Location map card window I developed is a completely independent module that receives all required data as a script parameter and can be used to both view and update the location data for a record in any table. Our experience so far leads me to believe we are only just scratching the surface of the potential of card windows and I am really excited to see the imaginative ways the FileMaker developer community will exploit this great new capability to build even better solutions for our clients.